This Big Wins segment is one of my personal favorites in a long time. 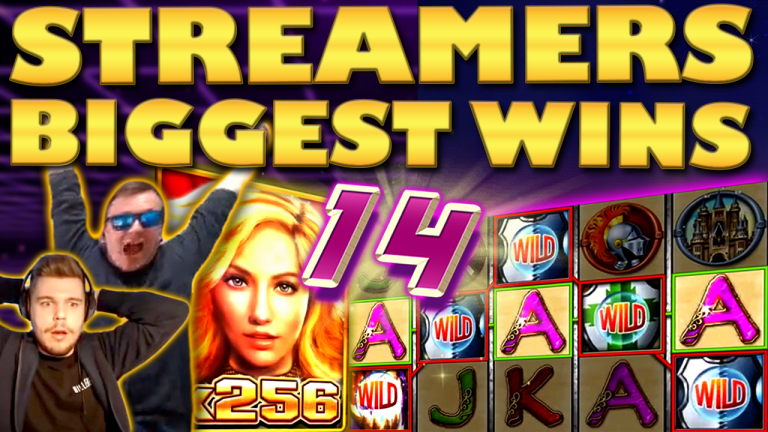 Not only just cause the slot hits, we have gathered from the casino streamers, are spectacular. - But more importantly, a large number of them are actually CG streamers. Naturally, it is always nice to see your friends be lucky. Now let us see in detail all the wins of today’s video clip. Let’s get started with two recent slot games. Fist with BTG’s new Final Countdown, which is really starting to grow on me. 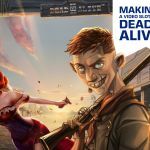 After its release we did not see many big wins on it, but recently there have been more and more big wins from this casino game. One of the lucky ones was CasinoRockstar who got a huge 1843x the stake thanks to the lady bonus feature. Likewise, Spajek took full advantage of 98% RTP on Mystery Reels to get a massive win of his own. Casumo boosts both these slots, so try them out and let us know which is your favorite slot of March? From new to old slots, as we take a look at the bonus round on the 300 Shields game. It is only a few months before the release of 300 Shields 2, but this did not stop the first game to give epic 1476x the stake win to one lucky streamer. Moreover we also have a sick free spin round on Cazino Zeppelin. This time it was Huneasd who got lucky on the game. Now even though he did not manage to get that last wild for a wild line, still 721x the bet is not too shabby. We are always glad to see CG streamers be lucky on gambling. Thus we could not leave out these three epic wins. 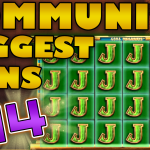 Reactoonz, Fairytale Fortune, Vikings are the slots where, JJCasino, Huggehugg and Casinovaz respectively, won big. You will find all three games at GOGO Casino. In fact, the win on Reactooz and NetEnt’s Vikings did not come as a big surprise. That is because both games are known for their volatility and high payout potential. However, the most interesting big win is the one Hugo got on Fairytale Fortune. As one of the easiest slots to trigger the free spins on, we did not think the game could deliver any big hits. The best win of last week comes from Teukka. Moreover, the win came from the most popular slot from Merkur. - Yup, it was Knight’s Life! 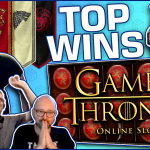 This game is an absolute monster which can give you super mega wins without even making a big fuss about it. Indeed you can miss, the 3736x the stake Teukka got, if you do not pay attention. Finally we end with yet another Viking’s win, this time from Slotspinner. It is not a big win compilation without having one of the many slot hits he gets constantly every week. - Guess the lucky followed Slotspinner in Malta as well. 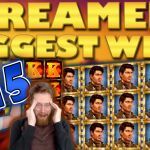 Tell us which win on Casino Streamers Biggest Wins – Week 14 of 2019 was your favorite. Moreover, share your thoughts in the comments. Also, make sure to check our other videos on CasinoGround’s YouTube channel. Did they Find Pablo Escobar's Money? Check out the new Narcos Slot!